When constructed, this cast iron railway bridge had the widest span in the world. The Severn Valley line was built between 1858 and 1862, and linked Hartlebury, near Droitwich Spa, with Shrewsbury, a distance of 64 km (40 miles). Important stations on the line were Stourport-on-Severn, Bewdley, Arley, Highley, Hampton Loade, Bridgnorth, Coalport, Ironbridge and Broseley, Buildwas, Cressage and Berrington. 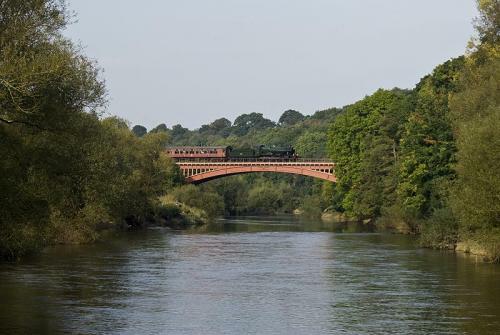 The original Severn Valley Railway was absorbed into the Great Western Railway in the 1870s, and in 1878 a link line was constructed from Bewdley to Kidderminster. This meant trains could run direct from the Black Country to areas of Shropshire. Most Kidderminster to Bewdley trains continued through the Wyre Forest line (dismantled in the 1960s and now a popular walking route) to Tenbury Wells or Woofferton. At Buildwas Junction (now the site of Ironbridge Power Station near to what is now Telford) Severn Valley trains connected with services from Wellington to Much Wenlock and Craven Arms. Prior to preservation, the Severn Valley line was never financially successful. Freight traffic - mostly agricultural, and coal traffic from the collieries of Alveley and Highley - were the principal sources of revenue. The line was strategically useful in the Second World War as a by-pass around the West Midlands. 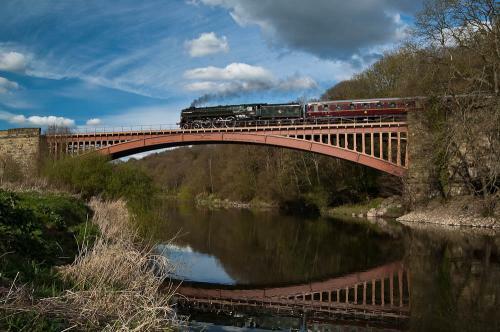 The Severn Valley Railway is now a heritage railway in Shropshire and Worcestershire. The 26 km (16 miles) line runs along the Severn Valley from Bridgnorth to Kidderminster, following the course of the River Severn for much of its route. Train services are hauled predominantly by steam locomotives; however diesel traction is also sometimes used. 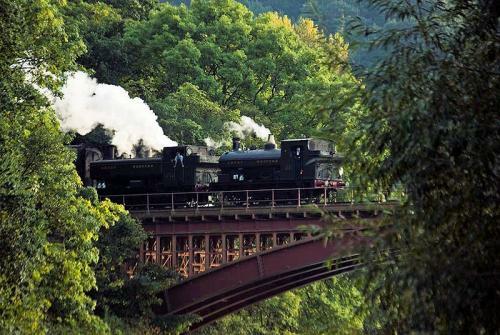 The railway is one of the most popular heritage railways in the country. It hosts numerous special events throughout the year, including both steam and diesel galas. The Victoria Bridge is a 61 m (200 ft) single span railway bridge crossing the River Severn between Arley and Bewdley in Worcestershire. Opened for traffic in 1861, the original railway line was closed in 1963. 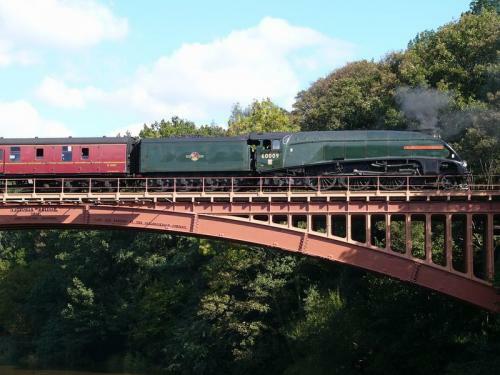 The bridge now carries the operational heritage Severn Valley Railway. 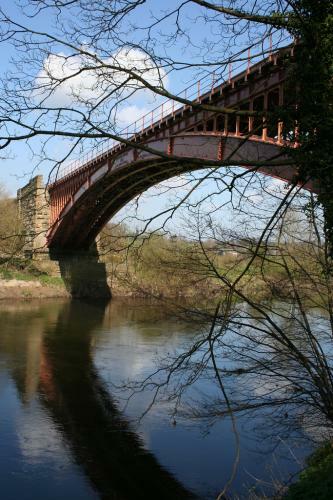 Its design is almost identical to Albert Edward Bridge (see entry) which also spans the Severn at Coalbrookdale in Shropshire, England, both having been designed by John Fowler. Victoria Bridge is a cast iron arch bridge, with four arch ribs each of nine parts bolted together. The arch elements were cast by the Coalbrookdale Company, and the bridge built by the company of Thomas Brassey, Samuel Morton Peto and Edward Betts. When constructed it was the longest span in the world at 61 m (200 ft). 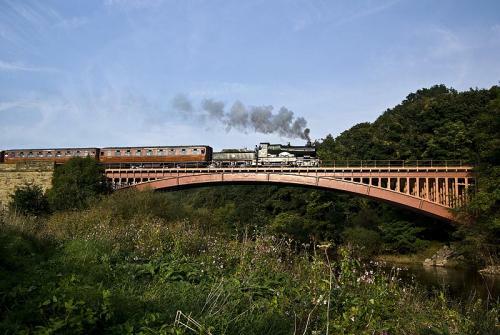 It has been used as a location for many films - including the version of 'The Thirty Nine Steps' in which Robert Powell escapes from a train by climbing beneath the bridge, and in the next scene is in Scotland! The bridge is expensive to maintain for train operations. In 2004, it was closed for six weeks during which it received a significant overhaul, including installation of a new steel deck, and repainting. The deck had previously consisted of secondhand timber sleepers, which were rotting away. The refurbishment work was commended in the 2005 Historic Bridge and Infrastructure Awards by the Institution of Civil Engineers. To preserve the structure the SVR's engineers have placed a 15 mph speed limit over it. By road: Off B4194; best viewed from the Severn Towpath Walk.